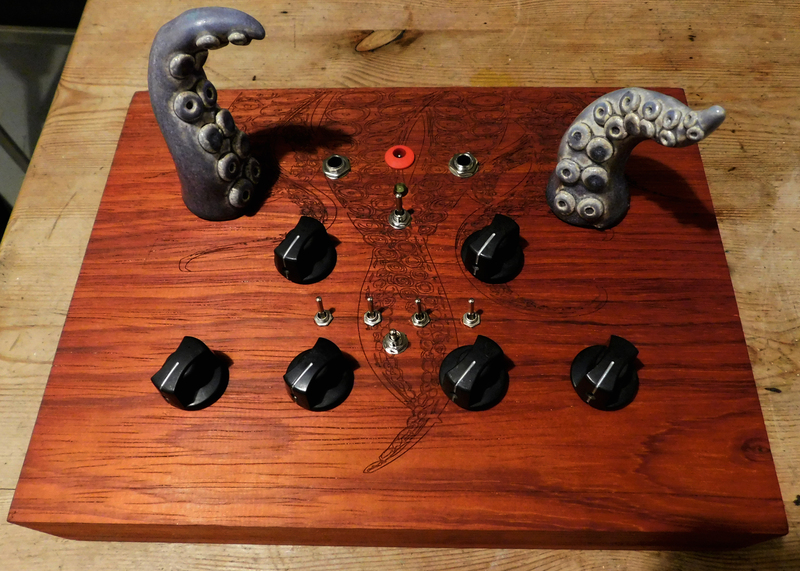 -Circuitbenders.co.uk Voice Vandal clone, the Phonic Taxidernist. -Extra audio input that bypasses the Drone synth. -A solid block of Padouk wood. Hollowed out to make place for the potmeters and electronics. 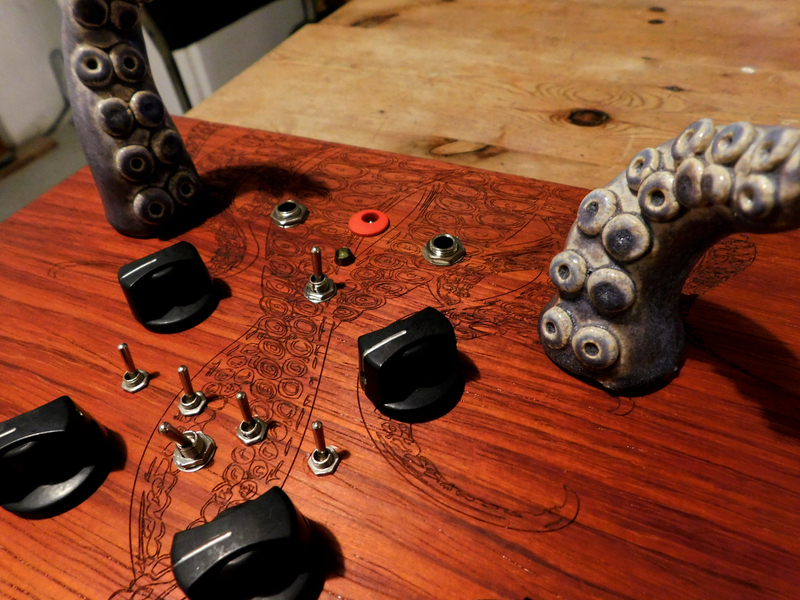 -Ceramic tentacle knobs (made by my girlfriend). Blue/purple enameled. -12v power inlet, on/off switch & indicator LED.